Quite a few new series coming out this week. JUSTICE LEAGUE DARK #1 – I put a lot of faith in the new JUSTICE LEAGUE series, but unfortunately, it still hasn’t quite caught my attention as a reader yet. Hoping that JUSTICE LEAGUE DARK can fill that void for me. I have said it before, but the one area of DC that has not worked for me since REBIRTH has been the JUSTICE LEAGUE books, and at the moment, that has continued to be the trend. Come on JUSTICE LEAGUE DARK, save us! BONE PARISH #1 – Cullen Bunn’s new series revolved around a new drug made from the ashes of the dead. Bunn writes some twisted horror stories, so I can’t wait for this one! MR AND MRS X #1 – This book kind of came out of nowhere. 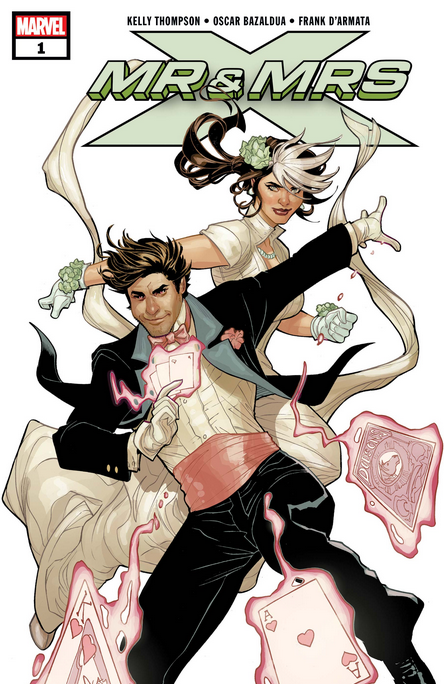 I loved the ROGUE AND GAMBIT mini-series, and this is the perfect way to continue that momentum. I started reading comics in the early 90’s and Rogue and Gambit were two of my favorites. Definitely on board for this one. 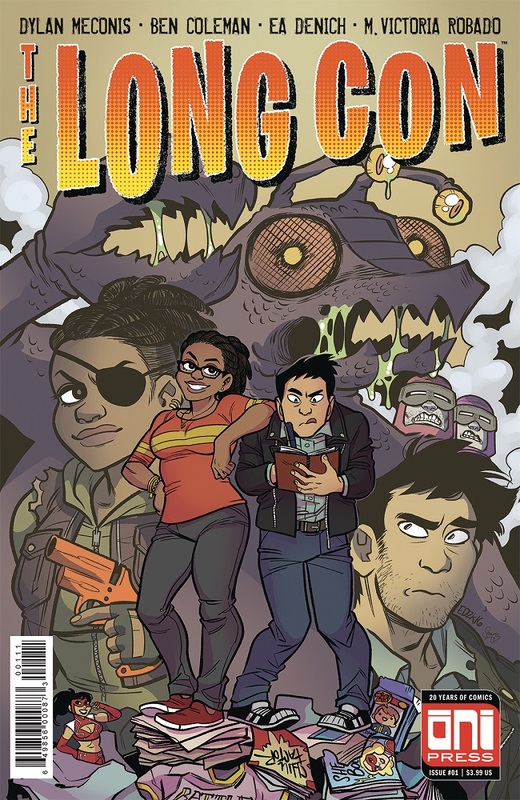 LONG CON #1 - As soon as I saw the headline "Oni’s The Long Con Explores Post-Apocalyptic Comic Con Culture" I knew I had to check this one out. The solict sounds insane! "Five years ago, a cataclysmic event obliterated everything within a 50-mile radius of the Los Spinoza Convention Center — including the attendees of Long Con, the world’s biggest (and longest) comic convention. But unknown to the outside world, the con-goers not only survived, they kept the convention going. When proof of their survival surfaces, reporter Victor Lai is sent to investigate — after all, he was covering the con that fateful day and escaped mere minutes before everything went kablooie… abandoning his nerdy pal Dez in the process. So clearly he’s the perfect person for the job, and he won’t get trapped inside like some kinda idiot. Right?" INFINITY WARS PRIME #1 – INFINITY COUNTDOWN never quite seemed sure what kind of series it wanted to be. It kept jumping from big cosmic action to smaller scale street action (like low level hood Turk Barrett coming into possession of the mind stone). The end of INFINITY COUNTDOWN seemed to kick up the stakes with Doctor Strange summoning together the current holders of the gems (Doctor Strange, Turk Barrett, Adam Warlock, Black Widow, Captain Marvel, and Star-Lord) to deal with a possible bigger threat. And that brings us to INFINITY WARS. Nothing about these books as been all that bad, I just don’t know what the point of it is.